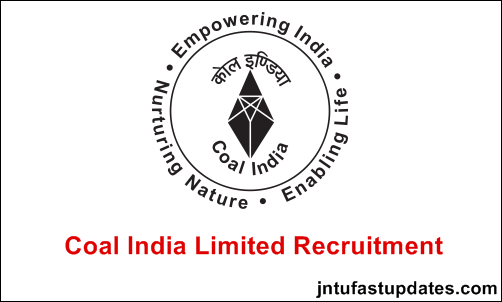 Coal India Limited Recruitment 2018: CIL has released Recruitment Notification of Medical Executives applicants for Senior Medical Specialist, Medical Specialist, Senior Medical Officers. Candidates those who are interested to Apply Online for 528 posts on the website www.coalindia.in. For more details about vacancies, eligibility criteria, how to apply can read the official advertisement. Qualification: MBBS from recognized Institute / College approved by Medical Council of India / State Medical Council with recognized Post Graduate Degree /DNB/Post Graduate Diploma with 3 years post qualification experience connected with the Speciality from a Hospital / Clinic. Qualification: MBBS from recognized Institute / College approved by Medical Council of India / State Medical Council with recognized Post Graduate Degree /DNB/Post Graduate Diploma. Qualification: MBBS from recognized Institute/College approved by Medical Council of India/ State Medical Council. Eligible applicants have to apply through online application form as available on the website www.coalindia.in only. The online application will commence from 29-Jun-2018 at 10:00 hrs and will end on 28-Jul-2018 at 17:00 hrs. Except online applications, no other mode of applications are accepted. Incomplete applications and non attachment of required documents as per application format will be treated as incomplete and rejected forthright.